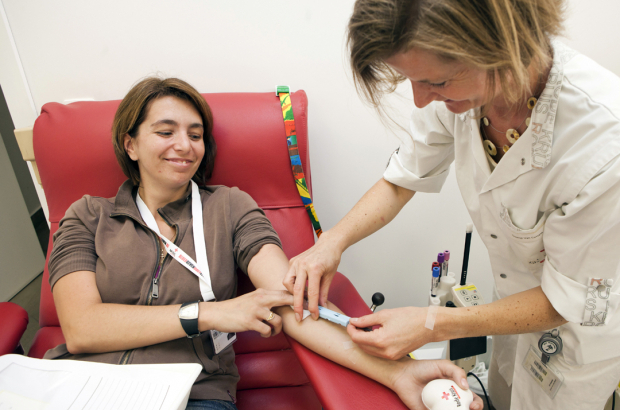 The Red Cross in Belgium is appealing for blood donors as its reserves are low. The organisation is planning a major promotional campaign in June to attract new donors before the summer holidays - especially the O-negative blood group. To give blood in Belgium, you must be in good health, take a brief medical questionnaire, be aged 18-70 and weigh at least 50kg. You cannot donate blood if you lived for at least six months in the UK between 1980 and 1996, during the mad cow disease crisis. Every year, the Belgian Red Cross loses some 40,000 blood donors because they are abroad, ill, pregnant or have reached the maximum age limit. Keeping the blood supply topped up is a constant struggle. The organisation says seven out of 10 people will need blood at some point in their lives, while only 3% of the population regularly donates.